Posted on 17th December 2014 at 11:40 am. 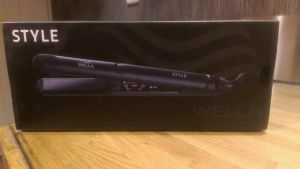 We are now stocking Wella and Sebastian straighteners! With temperature control and motion sensor, they’re the perfect Christmas gift at only £79! Posted on 17th December 2014 at 11:37 am. Posted on 28th November 2014 at 11:43 am. …and the Halo team definitely had a great time. 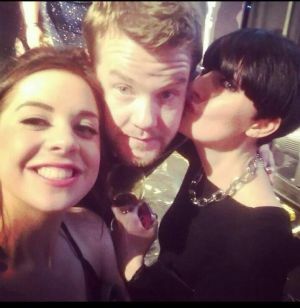 They even bumped into comedian James Corden who presented the awards! Posted on 21st November 2014 at 11:46 am. Posted on 4th November 2014 at 11:48 am. Posted on 26th September 2014 at 11:56 am. Halo Hair and Beauty stylist Elaine Sneddon is celebrating after being selected as one of the UK’s top up-and-coming young hairdressers. Nineteen-year-old Elaine has won a highly-coveted place in the prestigious Club Star Art team, run by the Fellowship for British Hairdressing. 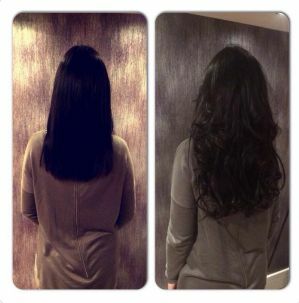 It is the second time in two years that a stylist from Halo Hair and Beauty has won a place in Club Star, an elite band of six young hairdressers, aged between 16 and 25, selected from the country’s leading salons. And there is double reason to celebrate at Halo after award-winning owner Joseph Ferraro has been picked as a finalist for the third year in the prestigious British Hairdressing Awards (BHA). Posted on 3rd August 2014 at 12:00 pm. Hairdresser Lauren Hewitt-Dawson is swapping her scissors for running shoes when she takes part in the Great North Run to raise money for charity. The senior stylist at award-winning salon Halo Hair and Beauty in Harrogate is helping celebrate the third anniversary at its Leeds Road premises by taking part in the world-famous half marathon in Newcastle. Keen horsewoman Lauren, 30, decided she wanted a challenge after successfully completing a number of 10K runs – so she signed up for the Great North Run to raise money for London’s Great Ormond Street Hospital. Posted on 9th July 2014 at 12:10 pm. Halo Hair and Beauty stylist Elaine Sneddon is celebrating after qualifying for the ClubStar auditions taking place in London later this month. Graduate stylist Elaine will travel to the capital to pit her hairdressing skills against other young hairdressers from across the country, all vying for a place in the coveted Fellowship for British Hairdressing’s ClubStar Art Team. Posted on 25th May 2014 at 12:13 pm. Two hairdressers from leading Harrogate salon Halo Hair and Beauty have reached the UK and Ireland Finals of the hairdressing industry’s most prestigious competition. Kirstie Bowdin and Natalie Garcia Sanz are two of just 36 hairdressers from across the UK and Ireland to make the finals of the Wella Professionals TrendVision Award 2014. The annual competition received more than 900 entries, and, following the regional heats in Manchester last week, Kirstie and Natalie won their individual categories -Young Talent and Colour – to reach the finals. Created to discover and acknowledge the industry’s most skilled hair stylists and colourists, the TrendVision focuses on all aspects of hair styling and colouring. 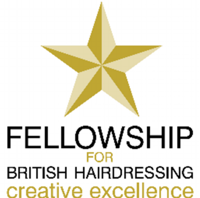 Judges include the UK’s leading hair icons including Nicky Clarke, Darren Ambrose and Claire Chell. The Young Talent Category is open to stylists under 30 years old to showcase their styling, technical and finishing skills, whilst the Colour Category gives colourists of any age the opportunity to express their creativity and put their colouring skills to the test.